Spider-Man: Into the Spider-Verse as seen in theaters, was just the beginning. As it turns out, the creative team behind Sony's hit animated Marvel Comics adaptation had a crazy amount of residual material that didn't make it into the theatrical cut of the movie. So what are they doing with all of this leftover footage and material? Giving us an alternate cut on the home video release. This comes from directors Rodney Rothman, Bob Persichetti and Peter Ramsey, who are currently promoting the digital release of Spider-Man: Into the Spider-Verse, which is out today, as well as the Blu-ray/DVD and 4K Ultra HD release, which hits shelves on March 19. During a recent interview, they revealed an Alt-Universe Cut, which is an "extra" version of the movie, will be coming our way. Here's what Persichetti had to say about it. 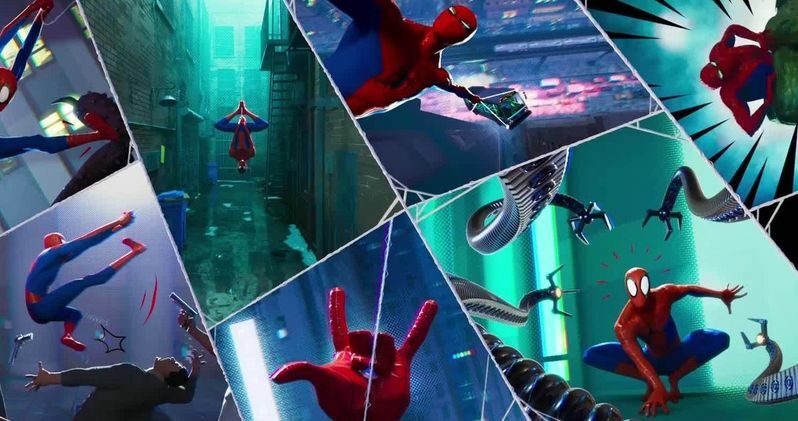 "[Spider-Man: Into The Spider-Verse] had an unusual amount of material at every stage of production. So, an insane amount of storyboard material, like insane, like break your high end edit systems insane. An insane amount of layout, an insane amount of finished animation that didn't make it into the movie... an unusual amount. So the Alt-Universe Cut contains a bunch of that stuff that we chose not to put in the movie, but that in an alternate universe easily could have ended up in the movie. So, uh, that's kind of the premise behind it." This won't be the usual few scenes from a movie that didn't make the cut. This additional footage could have completely transformed the movie as we know it. One major element that will be explored in this alternate universe cut is the relationship between Mile Morales and Ganke Lee, his roommate at school. In the comics, this is a major and important relationship. In the movie, largely due to the relationship Peter Parker has with Ned in Spider-Man: Homecoming, they dialed things back. Persichetti explained why in the same interview. "The alt version is more beholden to the idea that Miles and Ganke were buddies and roommates, and there's a lot more of roommate stuff happening. And what we ended up running into was just to two things. It was just like, 'Oh, wow. Homecoming, Ned, very similar to Ganke.' Really. And then, 'Well, maybe it's actually better if Miles experiences these things without a really well-educated Sherpa holding his hand through all the powers coming on and everything,' and it ended up helping us out for that place where Peter comes into the movie." For Sony, Spider-Man: Into the Spider-Verse has proved to be a massive hit. The movie grossed a very solid $359 million worldwide and was met with near-universal praise from critics. That helped carry it to a recent Best Animated Feature Oscar at the Academy Awards, in a rare victory of Pixar, who was up for the same award with Incredibles 2. A sequel and a female-driven spin-off are already in the works as well. This news was first reported by CinemaBlend.